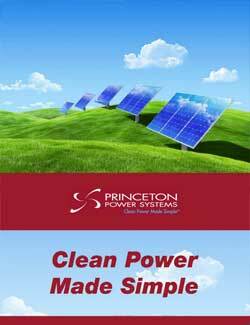 Princeton Power Systems maximizes the use of renewable energy. The workforce at Princeton Power Systems stands near 50 employees, and all products are manufactured out of a 50,000-square-foot space in Lawrenceville, N.J. – just five miles from the Princeton University campus – that was converted from an old-school printing press. Roughly 50 megawatts of product will be produced from the New Jersey base this year, which represents a third consecutive year in which the production capability has doubled. The company also runs a sales office out of Boston and maintains a field support facility in San Francisco. Places around the world where access to energy technology is less prevalent – or cost-prohibitive – tend to be the most productive markets, which means Hawaii, the Caribbean and Africa have become particularly fertile areas in recent years. That said, opportunities in more developed areas of North America have increased thanks to the lower cost of solar and energy storage. And in its role as an advanced technology/equipment provider, Princeton Power Systems will typically sell its power converters, controls and batteries to systems integrators like Lockheed Martin, who will then sell to the end customer while providing the financing for the systems while also operating and maintaining them. “One of the things that does differentiate us is we have a lot of experience with a lot of the different and new battery technologies that are out there, so we can talk to the customer and explain what we think the best solution is for them,” said Darren Hammell, the company’s co-founder/chief strategy officer, “and then we can point to projects we have in the ground using those batteries, which is very rare. 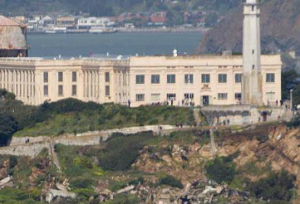 Speaking of projects, the company completed a commercial-scale micro-grid system on Alcatraz Island in 2010 that allowed the island to wean off its dependence on coal and diesel fuel as power sources. More recently, Princeton Power Systems’ BIGI-250 energy management platform was used on the five-megawatt micro-grid project that went into use in June on an island off the West African coast. And it was chosen by the Concurrent Technologies Corporation in July to design the first fleet of bidirectional electric vehicle charging stations at the Los Angeles Air Force Base. As for the future, Hammell anticipates more of the innovative same. A complete expansion of the production facility was completed a few months ago and a detailed product road map includes the completion of prototypes for silicon carbide device technology by the end of 2014. Hiring has been stepped up as well, he said, as he seeks to assemble a high-end team to handle what he expects to be a substantial workload going forward. Where he was just a few short years ago was a Princeton classroom. The company designs and manufactures state-of-the-art technology solutions for energy management, micro-grid operations and electric vehicle-charging with customers and partners across North America, Europe, Africa and the Caribbean. Its power electronics are used in advanced battery operations and alternative energy, with built-in smart functions for ancillary services. It also builds customized integrated systems, and designs, commissions and operates micro-grids, and, in Hammell’s estimation, is already a fair bit ahead of the industry’s Johnny-come-lately outfits. It’s a lot to get accomplished in 13 years, but if you ask the former Ivy Leaguer, he’ll tell you the course was mapped out even in his days as a humble undergrad in central New Jersey. In fact, Hammell was studying in the engineering department in 2001 and signed on for a high-tech entrepreneurship course taught by popular Princeton professor Dr. Ed Zschau. Part of the final coursework included composition of a business plan, and Zschau was subsequently instrumental in establishing the corporate framework and setting up a meeting with the man who eventually become the company’s angel investor, Greg Olsen. Energy was a hot topic of the day, so the business got started with power-conversion technology contract work with the U.S. Army and Navy, mainly developing prototypes and looking at where they could be applied to save energy in the battlefield and on warships. But not long afterward, the R&D focus began to edge toward production. The company transitioned into distributed generation, renewable energy and energy storage/battery products, which essentially provided a commerce-driven re-launch for an enterprise now aiming to sell its own wares in a newly-emerging marketplace. “We definitely did not want to be a contractor or an R&D shop,” Hammell said. “We were a technology company, but we really focused on getting a commercial product out. It took a lot longer than we probably thought it would, so in the early days we self-funded our company by doing a lot of contract work. But we always thought of it as a means to an end.